Paso Robles Joint Unified School District is working with the San Luis Obispo County Office of Education to bring its financial budget up to state standards once again. After a spending oversight and the constant turnover of the district's chief of business, the district's budget reserve is depleted and teachers are worried about their future employment. Jim Lynett, executive director of the Paso Robles Public Educators, the district's teachers union, said Paso Robles Joint Unified was in sound financial standing until last year, as it had pulled itself out of a budget issue that occurred during the 2011-12 fiscal year. MONEY OVERSIGHT Paso Robles Joint Unified School District is working with the San Luis Obispo County Office of Education to get out of its financial issues. As part of that good standing, the district's goal was to keep the budget reserve at 10 percent in order to avoid any budget issues. The California Department of Education requires a minimum reserve that is scaled to the size of the school district. Paso is required to carry a minimum reserve of 3 percent. Lynett said that at the beginning of 2018, the district's reserve dropped from 9 percent to 6 percent. In June, the district presented the 2018-19 fiscal budget to the board and projected the reserve to decrease again to 3.1 percent. Lynett said that was when the board realized that it had been overspending by about $1.08 million. At a Sept. 25 board meeting, the district presented its unaudited actuals (a budget that hasn't been formally audited yet) for the 2017-18 fiscal year, which stated that the district's reserves had dropped from 3.1 percent to .96 percent. Lynett said the reasons the district gave at the meeting for the spending oversight was the high turnover rate of its chief of business—the district recently hired its third chief of business since 2014—increased spending on special education, and position control within the district. "All of that put together kind of made for what I like to call a perfect storm. It kind of all fell down this past year," Lynett said. On Sept. 26, Paso Robles Joint Unified Superintendent Chris Williams, who joined the district in 2014, sent a letter to the school community. "The discussion over our budgets and deficits is much greater than just numbers on a page; it is about more than just reducing spending or about a specific number of our reserve, it is about creating a conservative, transparent, sustainable budget that aligns to our guiding principles," the letter stated. "Our brutal reality is that we have to become better stewards with the highest level of financial oversight. To meet the expectation, we do not have to sacrifice the core values that we believe in, and as long as I'm superintendent, we won't." New Times reached out to Williams, but he did not respond to requests for comment. Brad Pawlowski, the newest chief of business, told New Times that he couldn't comment on the issues that occurred before he started working for the district or what led the district to its current financial state. He said that when he started on July 30, the district had been working with a member provided by the San Luis Obispo County Office of Education to complete the unaudited actuals for the 2017-18 school year. 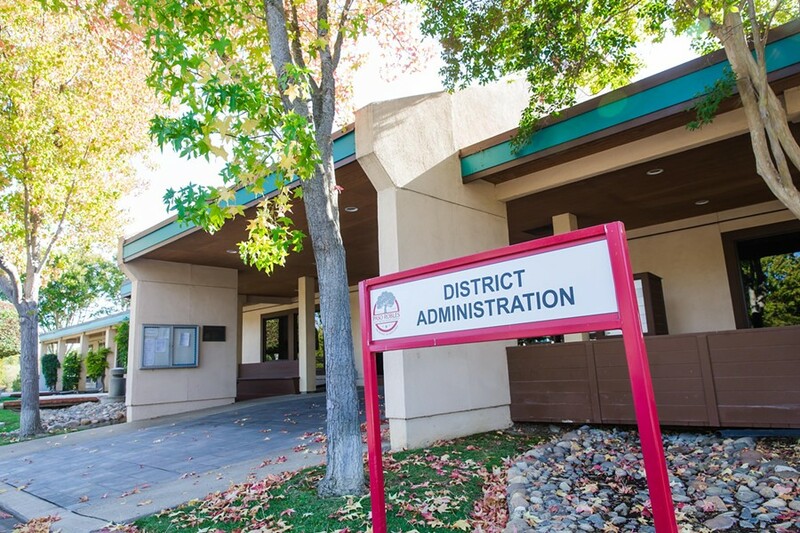 In order for the district to close the books on that year, the San Luis Obispo County Office of Education approved the final budget with conditions. Office of Education Assistant Superintendent Sheldon Smith said it's also requiring the district to work with the state's Fiscal Crisis and Management Assistance Team (FCMAT) to meet those conditions. FCMAT's job is to help California's local educational agencies fulfill their financial and management responsibilities by providing fiscal advice, management assistance, training, and other related school businesses services. The district is mandated to do a fiscal health risk analysis—which has 20 areas that measure the district's procedures on tracking attendance, monitoring their general ledger, and monitoring expenses. "If those practices slip it's hard to be able to come up with a sound budget and a sound projection as they plan going into the future. So what FCMAT will do is they'll do the health risk analysis and then they'll give the school district a road map to follow on which processes and procedures they need to follow in order to tighten up," Smith said. A fiscal advisor from the Office of Education will be assigned to the district to monitor its progress, and it must create a budget communications committee. The district has until Nov. 5 to come up with a plan to get back on track and to create the committee. Smith said what the district can do immediately is clearly track attendance—because it correlates directly with revenue—and determine whether it's overstaffed at any level (the district office, administrators, or teachers). "I want to come across as optimistic, but it took them a couple of years to get here, and it's going to take them a while to come out," he said. Lynett said teachers are expressing concern about their jobs in the meantime. "Last time the district had this problem, they came to us—the union—and they said, 'Gee, guess we don't have enough money and so you're going to have to bite the bullet and help us figure out ways and get more money,'" Lynett said. "When you've got an enterprise that's 90 percent people, there's only people that you can go to." Pawlowski said the district will prioritize reductions starting with management positions. Then, it will assess programs to evaluate the cost and impact cutting them would have on students. The district will also look into the fees that it charges the public to use its facilities and developer fees. The last place the district will look is at teaching positions, Pawlowski said. It is part of the overall assessment that is required by the Office of Education but has the lowest priority. Pawlowski said that while the budget is an issue that the district is trying to fix, there are a lot of positives the district has under its belt. In the past five years dual language immersion enrollment has increased from 400 to 757 students, the number of AP courses has increased from 12 to 17, and Career in Technical Education courses have increased from four to 25.